Commercial construction, like a lot of things, comes down to making choices. After selecting a site upon which to build, one of the most fundamental decisions on any new construction project is the building’s structural system. Whether steel, concrete, masonry, wood, or whatever, the structural system and the materials used to erect it impact virtually every other design decision made. Each system’s selection also carries a series of schedule, cost, and risk implications for the contractors responsible for erecting them. A bold new choice in structural solutions has entered the U.S. commercial market. Being built seemingly one project at a time, owners, architects, and contractors are getting to know CLT. “We like brick and timber. Natural materials, open spaces, and daylight engage today’s employees and allow them to be more productive in an office environment,” says Suszynski. 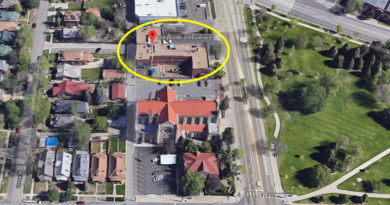 The context at 15th and Platte is a changing tapestry of old, new, and new interpretations of old connecting LoDo and LoHi. It is an intersection of then, now, and tomorrow bound by the South Platte River on the east and I-25 on the west. The remaining original, two- and three-story red brick buildings along Platte Street still proudly proclaim Denver’s frontier past. Crescent’s design team for the project, led by OZ Architecture (OZ), deftly mixed materiality with surrounding rhythms and vernacular to establish Platte Fifteen as a wholly distinct presence. A stout, three-story brick base will embrace the historic streetscape, while a modern glass intervention is trimmed by a collection of rooftop decks. Window patterning studies of neighboring historic buildings and hand-selecting a rich, red brick will articulate a sense of authenticity to occupants while the sleek glass box symbolizes success to tenants. 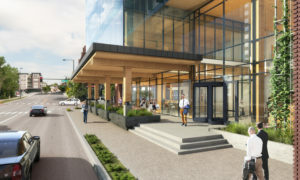 A covered paseo will highlight first-floor retail, wrapping the corner in activity, energy, and appeal just a block from Denver’s original seed on the banks of Confluence Park. OZ and Crescent’s first CLT collaboration, and the first such project completed in Colorado, was the Loading Dock, an adaptive reuse of a Boulder warehouse property as modern office space. “We admire Crescent’s willingness to push boundaries and explore how this unique product can change the conversation in commercial buildings,” says Johnson of the succession of scale over the two commissions. Pushing boundaries in design and delivering them in construction are distinct challenges. On Platte Fifteen, the latter fell to Adolfson & Peterson Construction (AP). 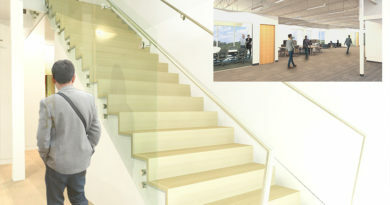 Jeff Stroup, the firm’s project manager, says he personally has found the pre-coordination and constructability challenges of working with CLT fresh and invigorating after more than twenty years in the game. Stroup recalls the moment in the contractor selection interview when the owner and architects asked if the prospect of working with CLT scared them, suggesting it was a good question. From building an exposed wooden structure in Colorado’s unpredictable weather to facing unknown costs and logistics, there is a fair amount of risk to consider. Accounting for the intense coordination required to conceal the building’s systems and the need to protect structural members from accidental damage during construction, the complications of building with CLT for the first time will be new challenges for many. “There was a lot of intense collaboration between the owner, the architect, and builder from a cost and constructability perspective in preconstruction,” says Stroup. 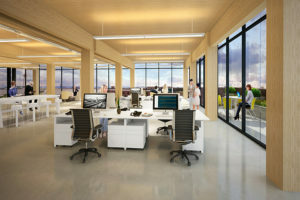 All involved admit the biggest initial hurdle was establishing a full-building CLT solution that could be built within budget without compromising the wow factor required of today’s premium office properties. Ultimately through design and constructability scrutiny, the team was able to put together a building plan that brought the CLT solution in at a slight premium to concrete or steel. 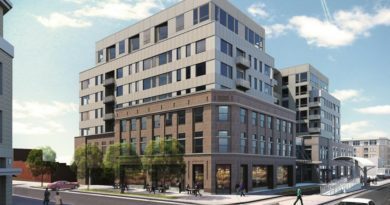 Platte Fifteen broke ground in early 2018 and is expected to be complete by October 2019. Since the CLT is exposed structural systems, walls, and ceilings all contribute as the primary driver of Platte Fifteen’s interior aesthetics. Stroup points out that simple selection of a CLT manufacturer can have huge implications as variations in wood or manufacturing techniques determine what is aesthetically possible. Prefabrication is imperative and CLT manufacturers are continually working to improve their processes to produce stronger and more beautiful finished products. Platte Fifteen’s CLT members are made from Black Spruce, harvested from Quebec province, Canada, and prefabricated into the required components by Nordic. A surface-applied coating will give each member a faded white hue similar to the bark of an Aspen in fall, lending interiors a soft sense of quiet calm that feels quite Colorado. Concealing building systems also required intense advance coordination because there is almost no room for rework in the field. CLT members can’t be penetrated or moved once they are placed and offer just a 1/16th of an inch of tolerance. Building Information modeling and predictive clash detection are vital resources for clean, international construction. 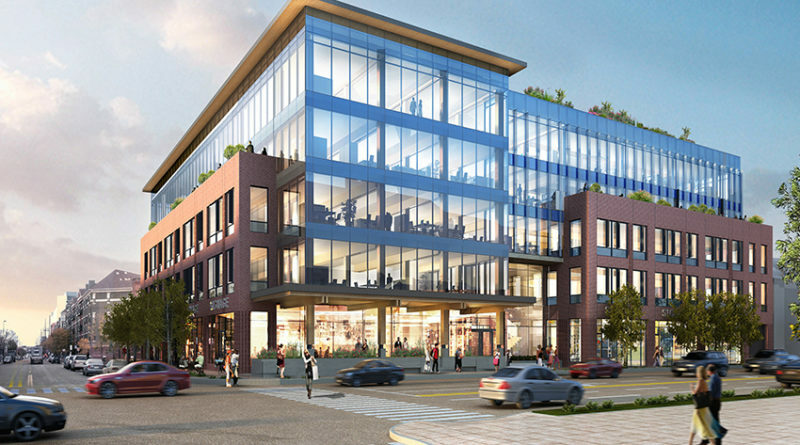 AP also brought in specialized contractors, Murphy Mechanical and Encore Electrical in a design-assist capacity to support the preconstruction planning, which increased confidence in construction commitments. Concern for columns and beams, once they are placed, is also important with CLT because the structural system is largely exposed and easily marred. 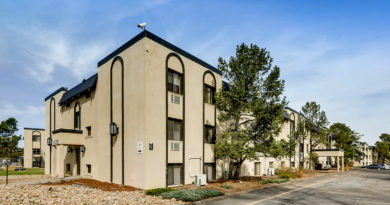 The manpower, heavy equipment, and common installation processes required in the early phases of commercial building construction aren’t well adapted to working around finished surfaces and rework isn’t always an option.